When the chance came to purchase their dream Worcestershire home using Help to Buy Equity, the figures all added up for trainee accountant Adam Staplehurst and his girlfriend Hannah Bates. 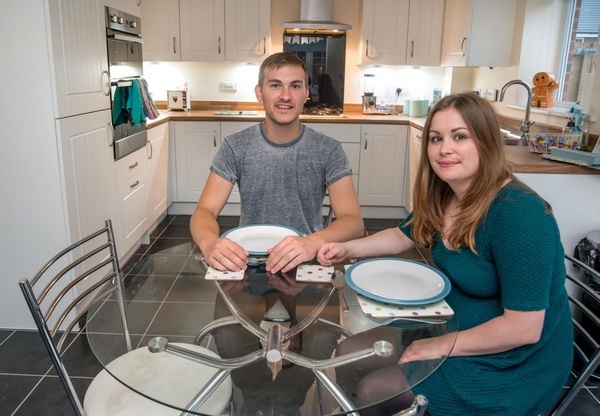 The Government-backed scheme is helping home ownership become a reality for more and more young people like Adam, 23, and 22-year-old Hannah, who are now settling into their new Bovis Home in Kidderminster. Help to Buy Equity makes it possible for buyers to move into a house with just a 5% deposit, with the Government providing an equity loan of up to 20% of the price, and the rest being made up by the mortgage. For Adam the numbers were difficult to argue with when they came across a spacious three-bed home at Stour Valley. "This property ticked all the boxes that we wanted from a home," he said. "We were looking for a new build and a detached home, but there weren't many within our budget. When we found this property it just had everything we needed. "We bought this home with a medium to long-term view. The thought of getting a three bedroom house sets us up for the future, as it will serve all our needs. We previously lived in a rented flat but now that we have bought our own place we feel much more part of the community." Stour Valley is an attractive development with easy access to Birmingham and Worcester. 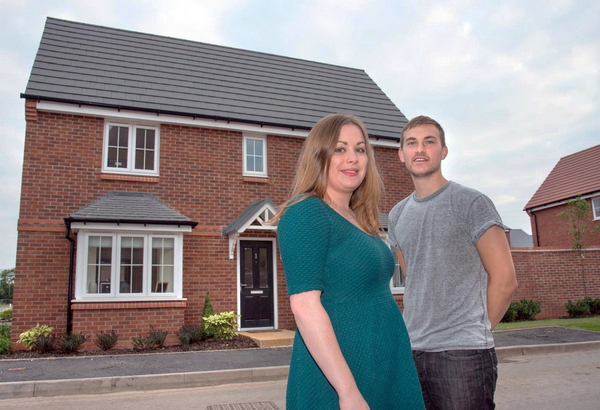 There's a wide selection of brand new homes available and Adam and Hannah, a mental health nurse, have moved into The Berisford, a detached house featuring a fitted open-plan kitchen and dining area, with French doors leading to the rear garden, as well as a dual aspect sitting room. The main bedroom has a built-in wardrobe and an en-suite bathroom. "Hannah wanted a good sized kitchen and I'm a big fan of the quality of the appliances, such as the oven, integrated fridge freezer and integrated dishwasher," said Adam. "Overall, compared to other properties we saw, I felt that Bovis Homes offered a higher specification of fittings and appliances, but at a value-for-money price." The 70-acre mixed use development includes plans for a new leisure centre, care home, hotel, pub and restaurant, as well as a railway halt for the famous Severn Valley Railway. "Being on a new development is very exciting," he added. "We can't wait to see what else will happen here, it will be great to see how it develops."